We all lose water throughout the day just from breathing, perspiration, urine and bowel movements. 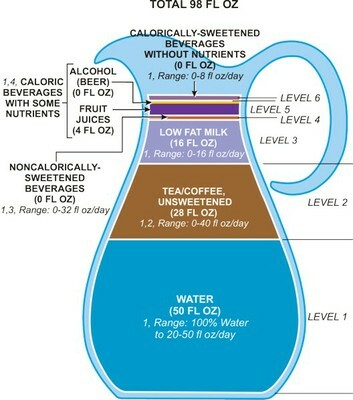 Did you know that as little as a 2% reduction in hydration begins to impair every physiological function in our bodies? So in order for the body to function optimally, this water needs to be replaced by drinking fluids and eating foods that contain water. Water plays a crucial role in every physiological function in the body. It helps flush toxins out of vital organs and carries nutrients from food to cells for energy. 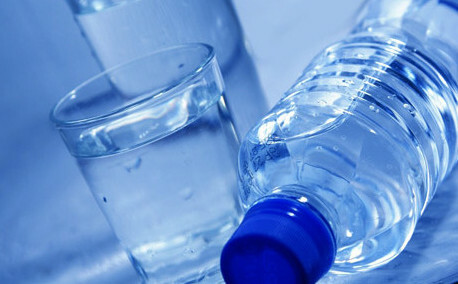 Water also regulates hormones, body temperature, and the digestive process (preventing constipation). Joints, skin, and internal organs also all depend on water to function properly. Also, proper hydration is important to maintain proper weight. A study from researchers from Virginia Tech found that drinking 16 oz. of water before meals three times a day over 12 weeks led to an increased average weight loss by about 5 lbs., compared to those who did not increase water intake before meals. So having enough water could help you control your appetite and your intake helping to maintain proper weight or lose weight. How do I know if I’m properly hydrated? One way to tell if you’re properly hydrated is your urine should be clear and relatively odor-free. Dark yellow or cloudy urine is often a sign of dehydration. Another sign of dehydration is thirst. If you’re only drinking water when you’re thirsty, you’re probably not drinking enough water. And if you’re really dehydrated, you could experience other signs such as: dry mouth, headaches, muscle cramps, fatigue, inability to concentrate, dizziness and nausea. Also, many times, dehydration often can feel like hunger, so next time you feel hungry and you’ve already eaten, try drinking water to get yourself properly hydrated again. How much water you need to drink per day depends on several factors, including exercise, the environment, injury or illness, and pregnancy or breast feeding. In addition, food contributes roughly 20 percent to overall hydration needs. Although specific recommendations vary among organizations, it is generally accepted that if an adult consumes two liters — or a little more than eight cups — of water daily in addition to a normal diet, this satisfies hydration needs. Instances where more water may need to be consumed include before, during, and after exercise, exercising in hot weather, if you are ill or injured, or during pregnancy or breast feeding. Sports drinks that contain sodium and potassium (electrolytes) are generally only necessary when exercising vigorously for an hour or longer, otherwise water is always the best source for hydrations. Beware of the high caloric count in sports drinks. Even drinks that claim to have 10 calories per serving often have two to three servings per bottle so the calories can add up if you were drinking enough. While caffeinated beverages such as coffee, tea and soda do count towards hydration, water is still the best choice because it is stimulant and calorie free. Carry a large water bottle and drink from it throughout the day. Drink a full glass of water with each meal or snack. Drink a full glass of water whenever taking medication. Add a slice of lemon, lime or a handful of raspberries to water to add a little flavor. Instead of soda, try sparkling water with some berries or a hint of fruit juice for flavor. When drinking alcohol, alternate every alcoholic beverage with a glass of sparkling water. When drinking juice, fill half of the glass with juice and top it off with water. While water is the best source of hydration, your body does get some water intake through other beverages and foods. Here’s a great diagram that shows one potential recommendation of how to balance beverage intake to optimize health benefits of certain beverages and mitigate the excess calories of others.